Feel free to drop by anytime if you can spare the time to try out any of the patterns here. 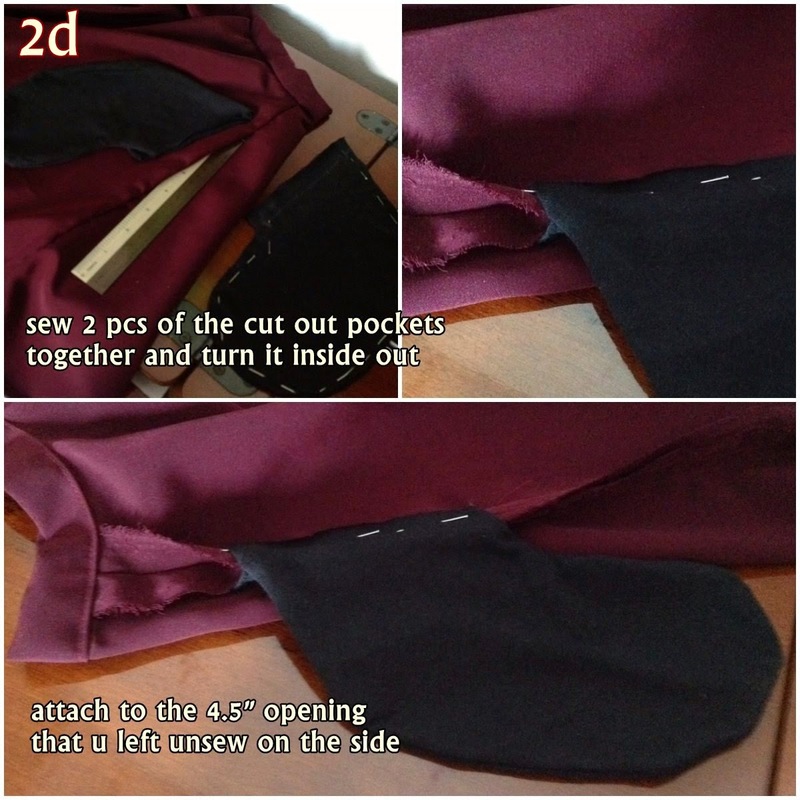 This blog is dedicated to encourage u to sew your own clothes according to your own measurements, regardless of your shape or size even if u have no fashion sewing knowledge. All you need is some basic sewing skill. All patterns here are simplified and easy to make and If you need any help, just contact me on the comment box below and I will get back to you asap. Lets start off with the most simple item that you can find in anyone's wardrobe, yet the most wearable and popular fashion today.....The Skater Skirt. They look so nice! Keep up the good work Sue ;) Anyway can I have your email add pls? I have some problems attaching the pockets. Thanks! 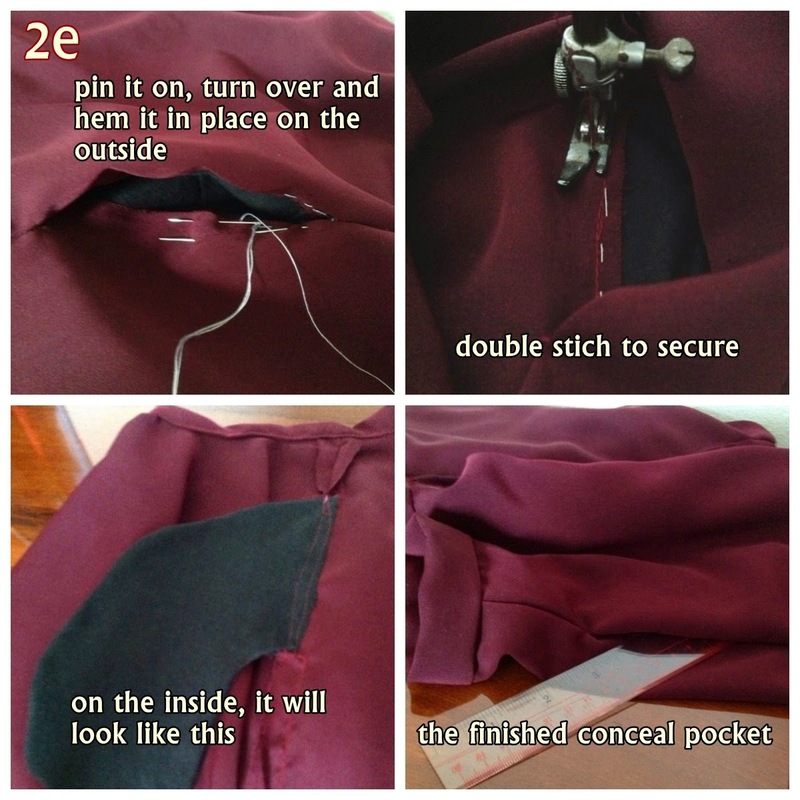 This is the shortcut method for attaching the pockets as I do no want it to get in the way of the flow of the skirt. My email is listed on the google+ page. If u hav any problems. let me know. Thanks for the comment. 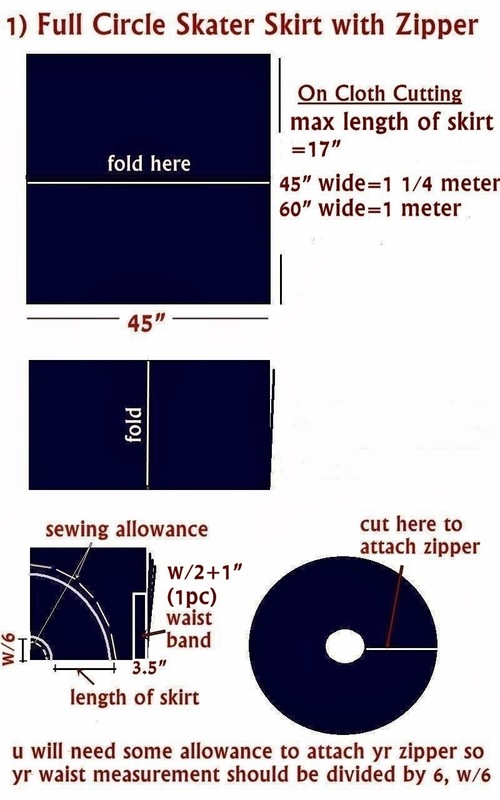 Depends on whether you prefer the full circle or 1/2 circle pattern, The 1/2 circle pattern will cost less since it requires only about 1/2 - 3/4 of a meter of cloth. It will cost very much less than what you find at the shops. 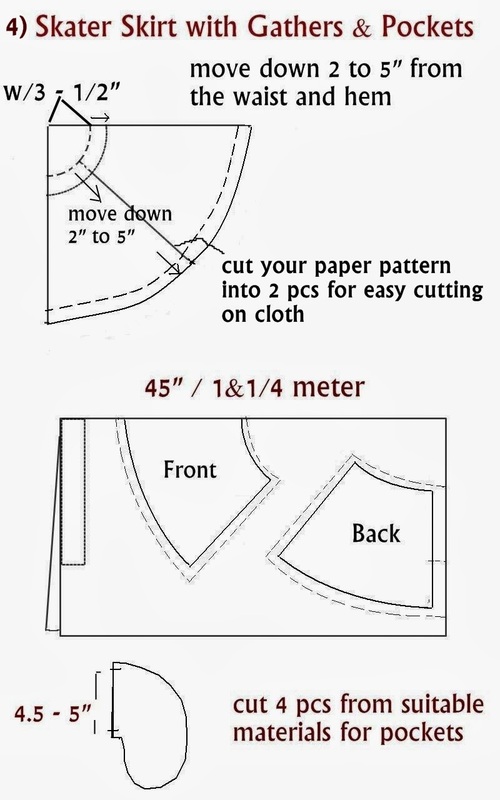 Is the waist measurement divided by 4 since the fabric is being folded before its cut? 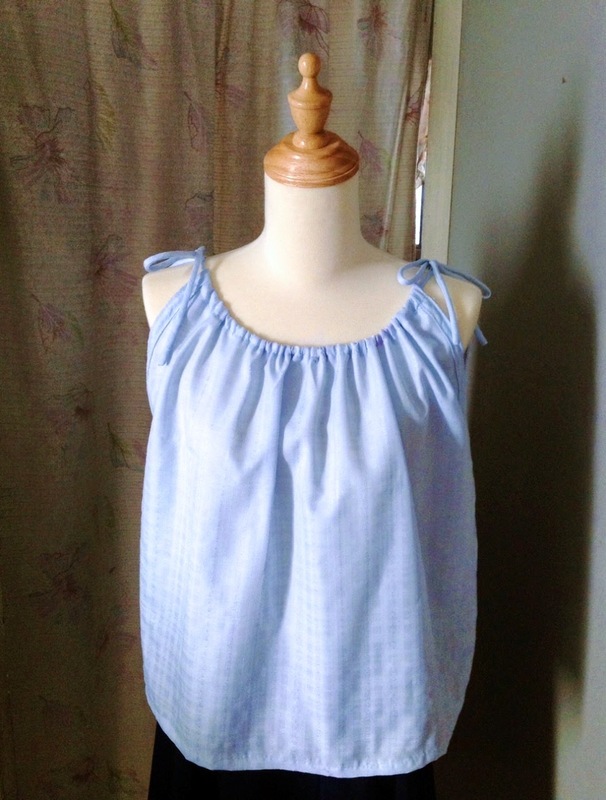 Good morning, I have a silly question I'm still a novice at sewing so please forgive me. I see that your skirt has a tab like closure. Do I just cut the waist band a few inches longer to have that affect? I completed one this morning but even with the hook and eye it's not a clean look if that makes sense. 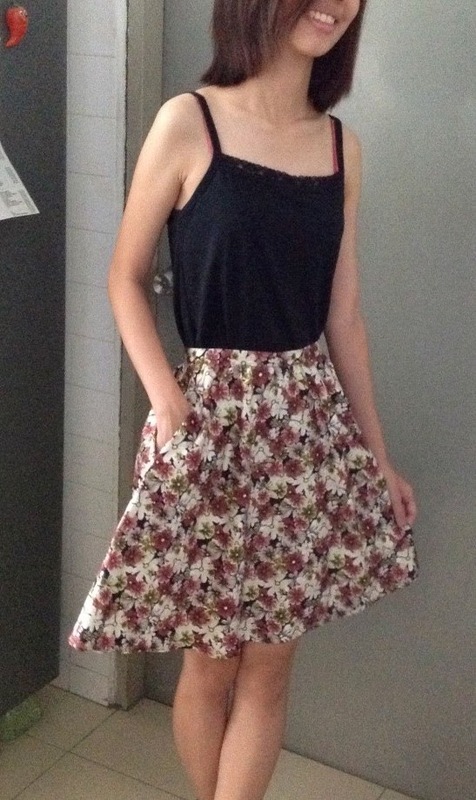 What material did you use for the full circle skirt? 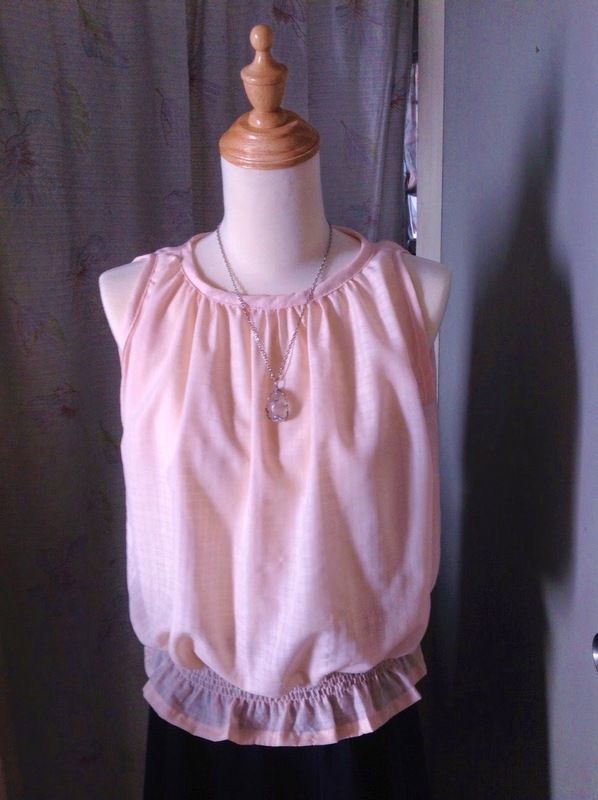 Hi Jessica, It's Koshibo Polyester, quite heavy and does not wrinkle easily, just right for a circle skirt. Hello there, wow I really admire your content, I’d like to share some useful links with you for your further post on modest clothing, I am sure this will inspire you a lot and gives you more new ideas to write more wonderful content on modest skirts and denim skirts, Have a beautiful day dear, & once again thanks for sharing this awesome blog with us.